Why Choose PMSP for Estate agent Software and Website. With the advent of technological brilliance, many software partners are in the market to choose from. But, PMSP differentiates itself from others by its clientele list and vast experience in varied verticals.Our vast experience in serving customers on cloud based estate agency software has won hearts all over. We supply estate agency software, letting agent software and website designing for all business requirements. We have been in this business for the past 12 years and have earned recognition and appreciation from clients belonging to all walks of life. Our web based estate agent software and letting agency software is provided for residential and commercial estate agents. 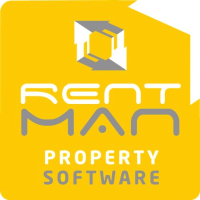 Over 2500 branches our software is being used and by different property management companies and landlords.Our services are affordable and you shall receive more than you pay for which has been winning us in the market. Reach out to us for enhancing your solutions and foresee a long-term relation. Do send us your enquiries.